LinkedIn is a great social service for professionals. I often read descriptions of LinkedIn with the sentiment that LinkedIn is a recruitment platform. However, in my opinion LinkedIn is much more than that. To me LinkedIn is more about networking, knowledge sharing, social marketing and social selling. But that said, recruiters are certainly very active on LinkedIn. I guess it happens to me every week that I’m contacted on LinkedIn by a recruiter with a MDM (Master Data Management) job. “We are looking for a candidate with experience with <brand>….”, where <brand> is Informatica, Oracle, IBM, SAP and other well known brands in the MDM sphere. As I don’t guess the recruiters make up the top requirement themselves, this number one requirement probably comes from the hiring organization. So to users of MDM, MDM is all about the software brand. Never mind people and processes. That’s easy. Technology is the hard part, not at least mastering the master data technology that was bought after a thorough selection process. Next Article What Should be Driving Data Quality: Fear or Greed? That said, many times the hiring organization has let their internal recruiters write the job descriptions; they rely heavily on the buzzwords for a particular industry. 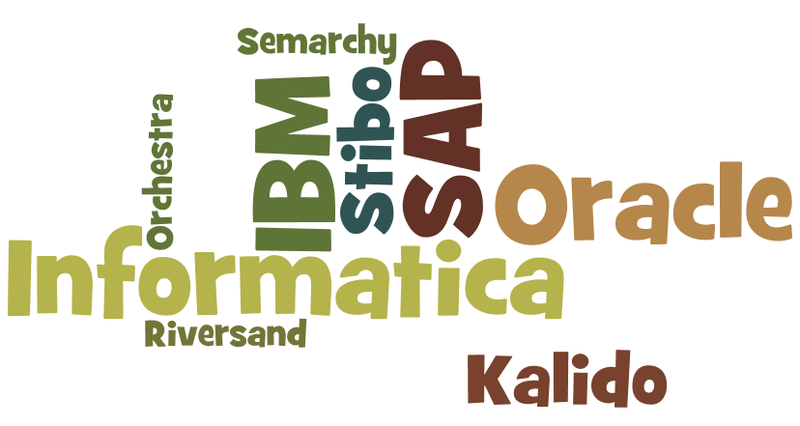 Today, those buzzwords include the software brands…much to my dismay. That may mean that we, as hiring managers, need to be more explicit with the skillsets that we are looking for in MDM (or DQ or DG) candidates. I guess that maybe using boilerplate language could result in another “data quality” like issue with regards to recruiting. In my experience that’s the thing organizations struggle with most of the time. I admit they don’t realize it at first, and they often don’t address it later (we already used so much budget for implementing a software solution and now you want us to hire a consultant to solve the process issues??? ), but when MDM or data quality projects fail it’s almost always because of a too firm belief in the all mighty software solution. Karen, Sophie the title and easy saying is tongue in cheek indeed. The sentiment in the MDM community among analysts, gurus, thought leaders and so is also that people and process is the hard part. But, to my experience, technology geeks, and that being geeks of a specific technology, is what the headhunters are chasing. I think that you have uncovered a big problem, which is that many executives believe that by purchasing the ‘proper’ brand of software that they they can ‘buy’ Master Data Management for their enterprise. In the 1970’s and 80’s there was a famous mantra, “You don’t get fired for buying IBM’. Many senior executives hid behind this and tried to duck doing the analysis and modelling work that is an essential precursor to any computer solution – with dire and expensive consequences. Maybe the same is happening today. If executives spend the big bucks on the most expensive software and more big bucks hiring people to run it, then how can they be blamed if MDM fails in their enterprise? Brands are important in enterprise software as they are important always when a consumer is irrational and has not enough knowledge to evaluate the product and makes decision using marketing advertisments. Thank you for addressing this topic, Henrik. It is indeed surprising that after 30+ years of extended use of information technology in medium and large businesses, there is still a significant number of deciders who have not learned from history and still believe that technology alone will do the magic and deliver them from their sins if just the right amount of money is sacrificed to the vendor “gods”. Just patching with another piece of technology is particularly ironic in the context of Master Data Management which is meant to correct the obvious lack in conceptual work that led to a siloed architecture in the first place.